Miguel is a poke monster meaning he has a plethora of pokes that leads into mixup opportunities. His db3 low is extremely good for initiating his CH/mixup game as it leaves him at frame advantage point blank. His df1 is one of the best in the game as it has delayable extensions with mixups built into them, so he’s very strong at making the opponent hesitate upclose and respect his offense. 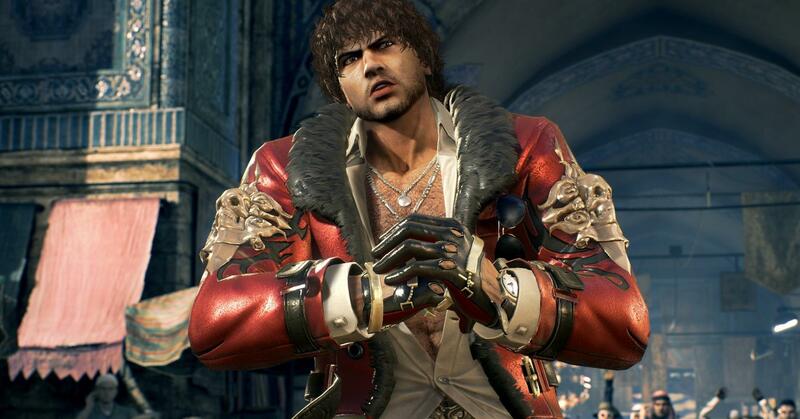 Miguel has a stance called Savage Stance (SAV) which gives him access to stronger lows including a beefed up version of his db3 (more damage, better frame advantage and tracking), a plethora of strings: some are delayable, some are quick CHs and some are wallsplats. SAV can be accessed from many of his moves like his df1 strings, his db3 and others. As a result, Miguel excels at making his opponent freeze up with varied timings, while having the ability to cancel into SAV from certain moves to continue his offense. He can take chunks off the opponent’s life very fast if he’s allowed to. His Rage Art is the most damaging RA in the game and his Rage Drive gives him a barely unseeable low launcher His punishment is quite strong other than his jab punish, he has 2,1 at i11 which does massive damage for i11 and has huge frame advantage on hit and his hopkick is one of the better hopkicks in the game due to the range. However, Miguel does struggle to punish moves that have pushback as his range is lacking. His ranged whiff punishment also suffers as a result of this as he doesn’t have much for further out whiffs. Due to this, it's recommended to stay in the opponent’s face with Miguel to enforce his poke heavy offense. Miguel’s tracking is weird in the way that his main mids track one way and his main lows track the other way and to make matters worse, his homing moves are quite slow. Extremely strong poke heavy offense. One of the best hopkicks. Most damaging Rage Art in the game. One of the stronger Rage Drives. Poor whiff punishment at range. Struggles to punish pushback moves.